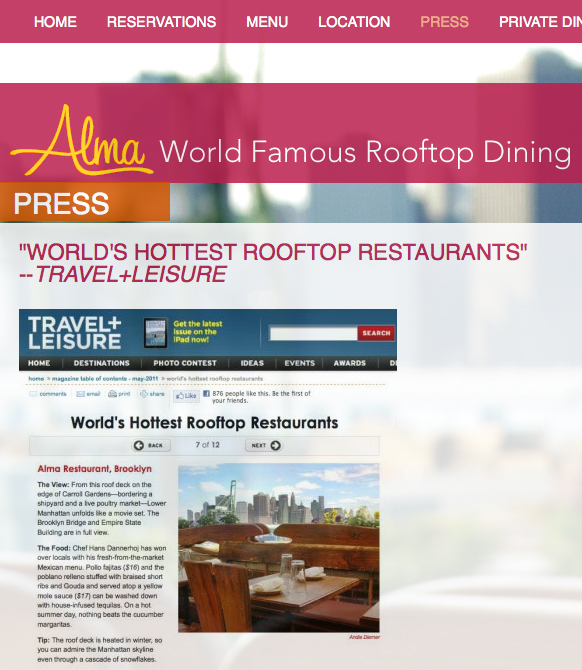 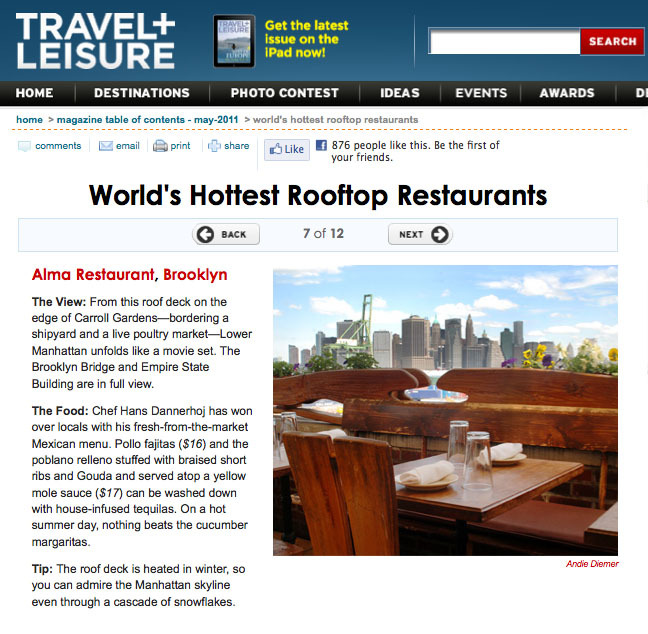 In May I was assigned to travel to Carroll Gardens in Brooklyn to shoot Alma Restaurant for Travel + Leisure’s online package featuring the World’s Hottest Rooftop Restaurants. 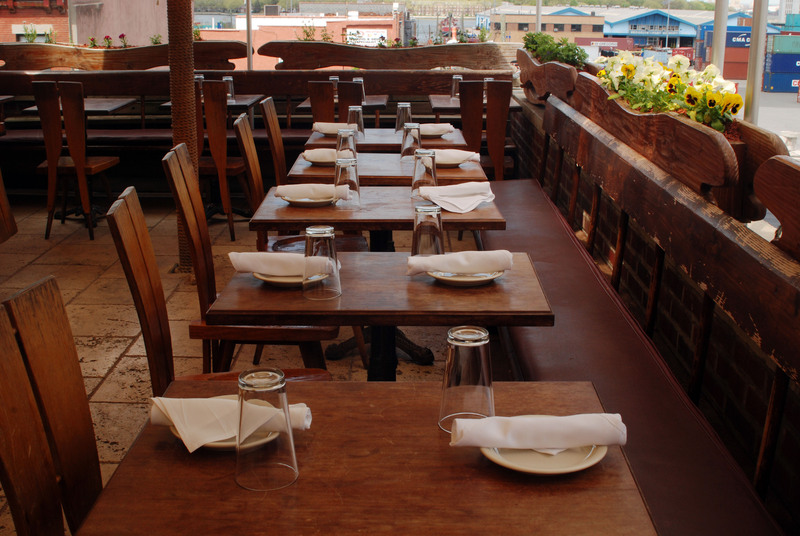 The roof is covered, so whether sun or rain Alma is open for business. 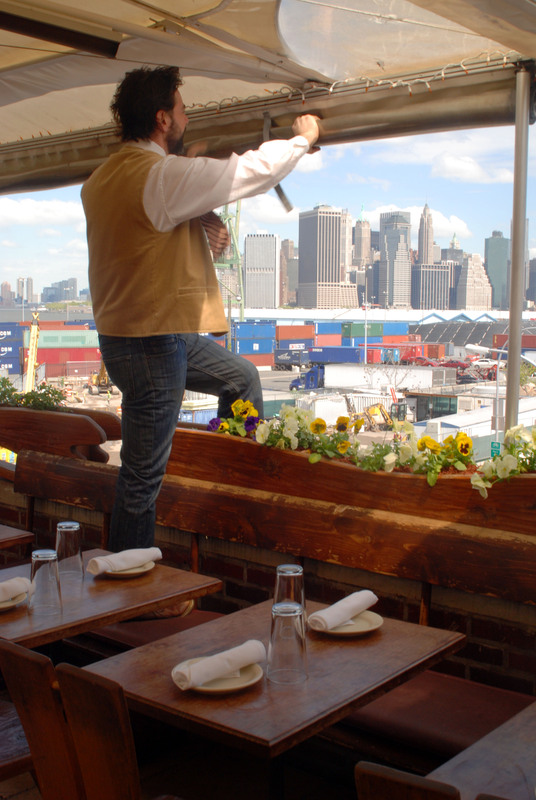 Busting the roof open early for the T+L shoot. 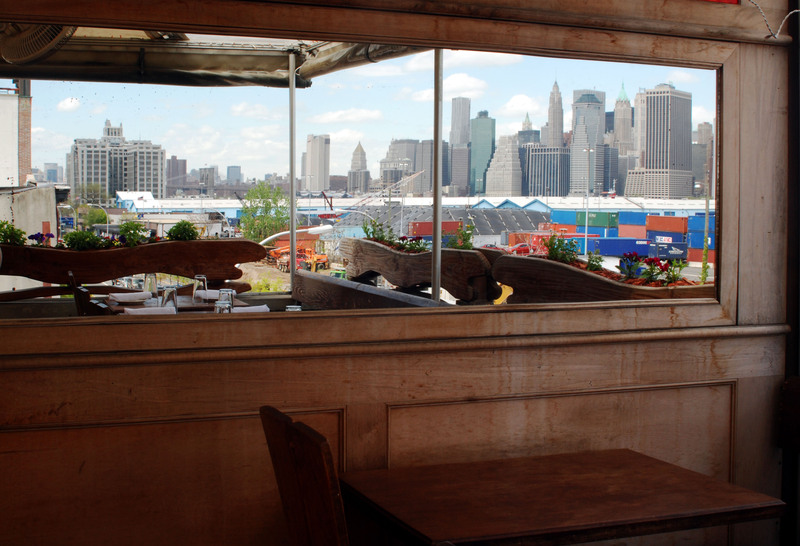 Manhattan and ship yard reflection.